Product categories of Shutter Door Roll Forming Machine, we are specialized manufacturers from China, Shutter Door Roll Forming Machine, Anti-Wind Shutter Door Roll Forming Machine suppliers/factory, wholesale high-quality products of Anti-Wind Shutter Door Forming Machine R & D and manufacturing, we have the perfect after-sales service and technical support. Look forward to your cooperation! 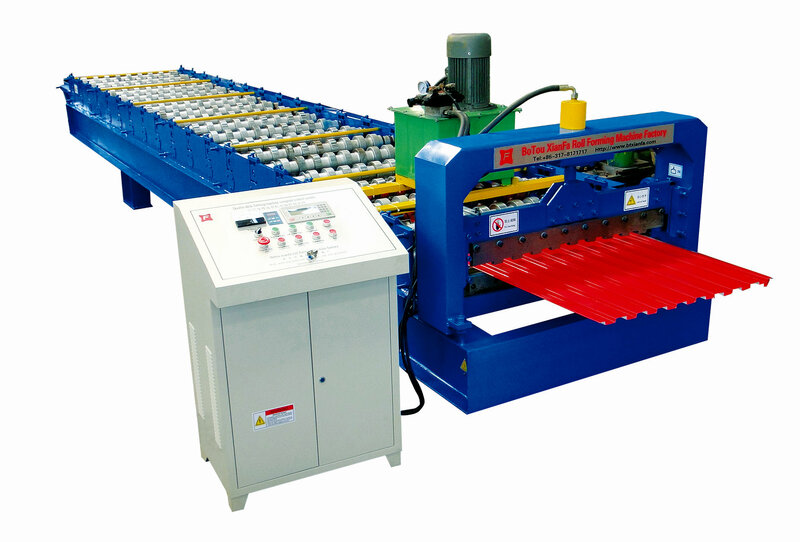 The shutter door machine has many type of design. The austrilia type use wide raw material width, and easy to make the door. The small type of shutter door strip has nice appearance, and durable product. Besides, there are some other type of shutter door machine, like anti-wind shutter door machine and fire proof shutter door machine. The fire proof shutter door machine has the steel frame with EPS inside. Keep the workers safe when working.